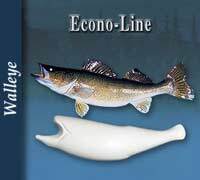 The Rinehart Econo-Line fish forms are anatomically accurate fish forms but without all the extra bells and whistles. A good basic fish form offered in a medium girth with a variety of sizes. The Final Generation fish forms are highly detailed, anatomically accurate forms. The enhanced detail allows correct fin and gill positioning. The poses available are customer pleasing in a wide selection of sizes. 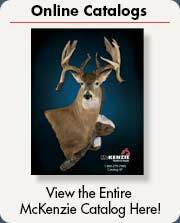 Rinehart fish forms have a wooden block molded into forms for easy, secure screw attachment. 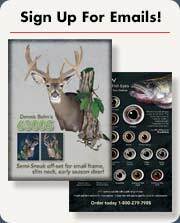 A variety of taxidermy videos, wood panels, and rock panels are available to complete your fish mount.